You have infinite reasons to make anyone else cry but you also have unending reasons to be loved sharply. ► That night, I call it a double-edged sword because the contrast was sharp. ► You know there's something wrong but at the same time, there's nothing wrong with it. | 1 | [MANILA] ► YOU CAN STAND OUT WITHOUT PULLING OTHERS DOWN. My old self has always thought that walking on your streets at night would creep me out. Heck, the media has always branded you as such—kidnapping here and there, buy-bust operations, and poverty among others. But you've always been that double-edged sword. You have infinite reasons to make anyone else cry but you also have unending reasons to be loved sharply. Last January, I saw you once again wearing both the glamorous and unromantic faces of yours. The streets that kept your heart beating were struggling to find its way to your peace of mind. Your sons and daughters had no choice but to be resilient. You know, they indeed are resilient. How come many of them are still energetic and motivated to work and make a difference? 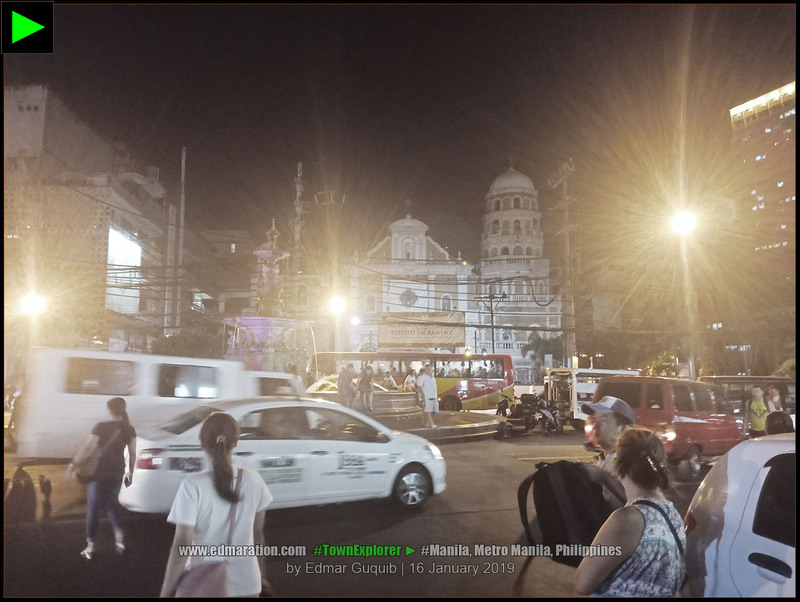 The sampaguita vendors near the Santa Cruz Church were unshaken. Is it fulfilling to sell sampaguita? Why I've been seeing them here all these years? They never made a change of heart. Is there no other choice for them? The fishball vendors at Ongpin Street seems to enjoy what they were doing. The young man out there several years ago has now his kids with him in tow selling street food. Would I say life is hard? Your sons and daughters were still there, still doing what they [probably] love doing. | 2 | [MANILA] ► IF YOU WANT TO STAND OUT, MAKE A DIFFERENCE. The barker never lost his voice. How come he is louder now and appears more passionate? 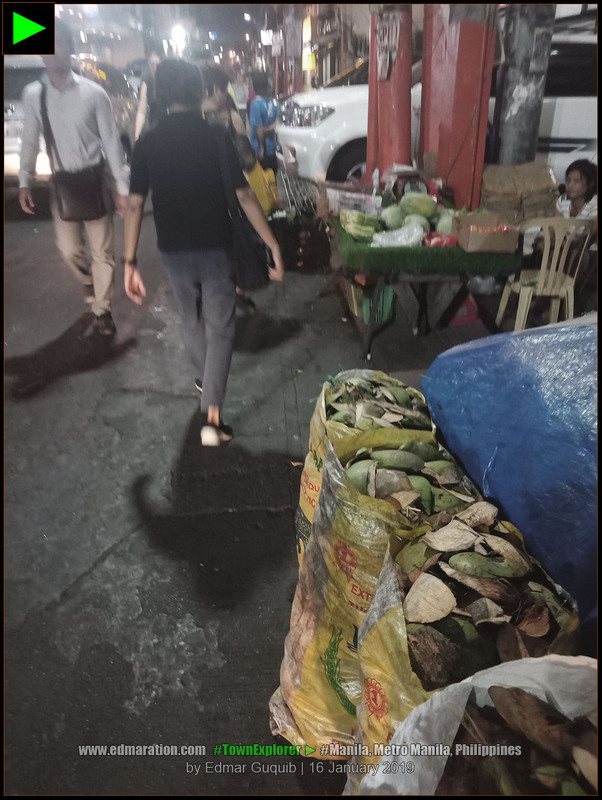 As I walked along Ongpin Street, the sugarcane vendor appears like he has no plans yet to go home and watch his favorite teleserye. By the way, I saw people watching Coco Martin's 'Ang Probinsiyano' inside a Chinese-owned store—and yes, they were Chinese! 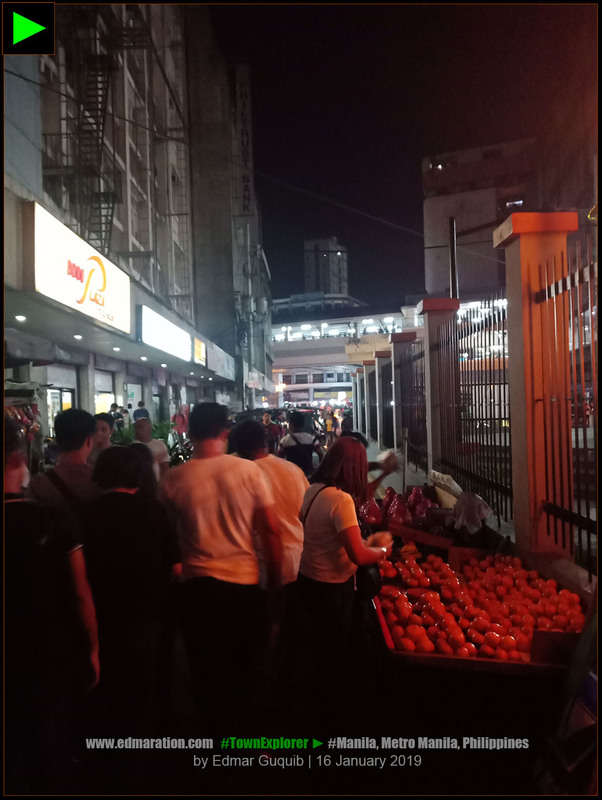 Everyone seemed energetic except this tired lady who was excited to go home after her shift from that well-lighted Mercury Drug Store that's illuminating the post of a fruit stall owner in front of it. 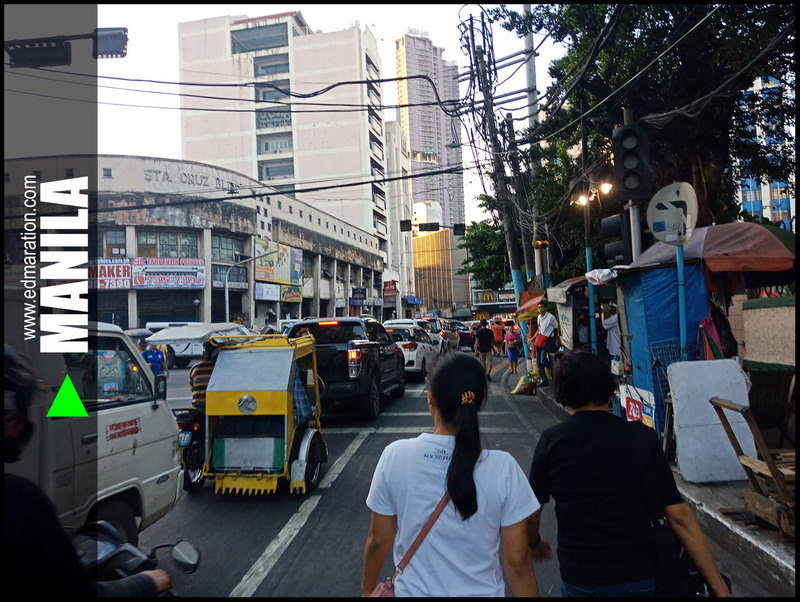 The lady made its way through the street that has become narrower than ever because of the expensive-looking cars parked alongside with the sidewalk. Near these posh cars are expensive-looking restaurants too. Everyone seemed to enjoy the great ambiance inside. 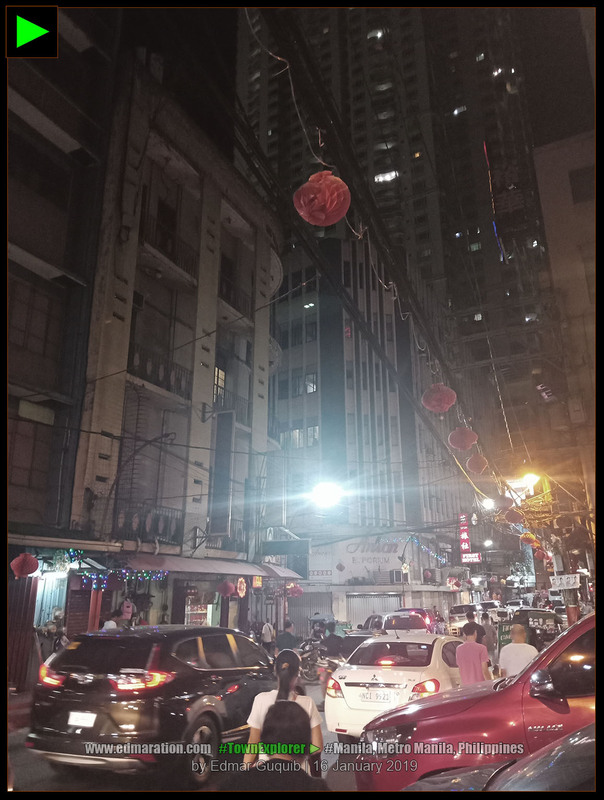 So these are some of my observations in Binondo and Santa Cruz at night. That night, I call it a double-edged sword because the contrast was sharp. Both ends could either create a wound or sharpen a diamond. You know there's something wrong but at the same time, there's nothing wrong with it. 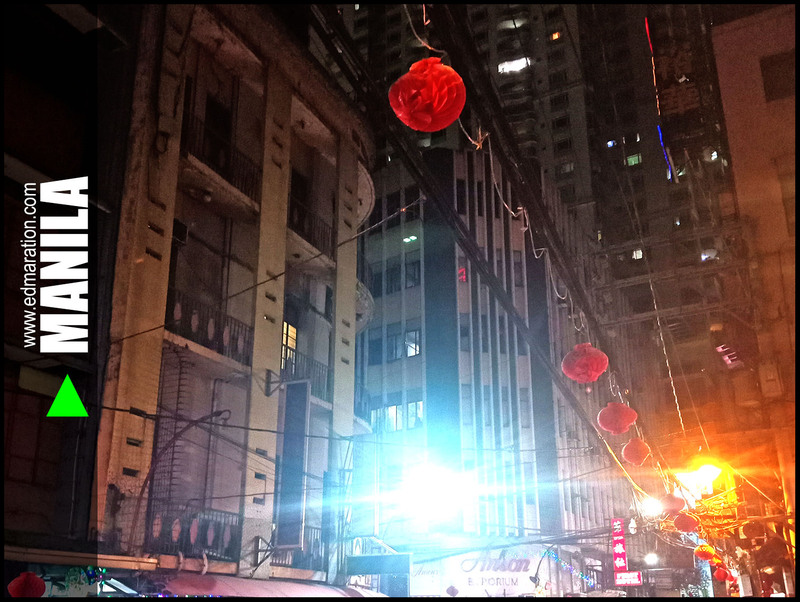 Hey Binondo, why are you so lovely? I had a taste of your best dishes and it blew my mind away. But you know what? You never failed to give me many options because I can still have that cheap, dirty (they say) 'palamig' that I'm accustomed with just across the street. I could hardly do that in BGC or in Eastwood. You're so versatile. I paid a lot of money from that restaurant yet you proved me that my 10 pesos were able to bridge my childhood cravings to my present self. I was satisfied! How cool is that? You're linking my past when I still had no money to buy expensive food and to my present where I could now afford to shell out some extra hard-earned money for a single meal. Tall buildings have made their room in the home you created for centuries and it's so fascinating to see that you still preserved your homey traditions in spite of these newcomers. They looked awesome at night because as I looked up to decipher their towering height, Chinese lanterns hovered with grace stealing the spotlight of the night. It's glad to see that the fruit stalls never left your side. They are truly homegrown and they seemed to stay forever in your care. One thing more, the Chinese merchants never left you all this time. They have made your home foundation strong. They fortified your existence. You see? You couldn't be shaken. Your identity as a family of diversity was never wiped out by pop culture. | 3 | [MANILA] ► THE 'BASIC' WILL NEVER LOSE ITS RELEVANCE. | 4 | [MANILA] ► IF PEOPLE PAUSE FOR A BREAK JUST TO LISTEN TO YOU, CONGRATULATIONS! YOU'RE RELEVANT TO THEM. I just felt sad that your historical canals were still struggling to find their way to sanity as they've been congested by garbage. The waters are murky. I didn't like the smell too. I just feel mad that there are people who wanted to mar your glory and beauty. Hey Santa Cruz! We meet again at night. I've seen you several times at night and you've never changed. 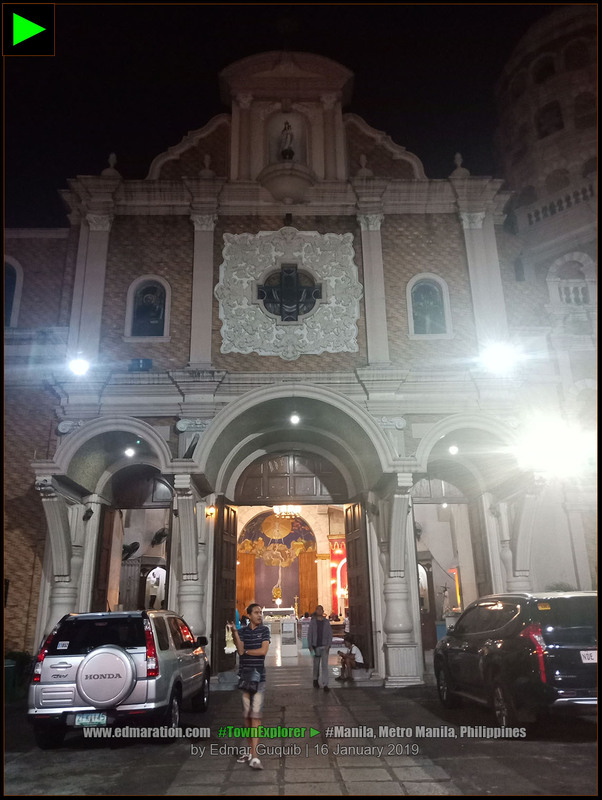 Santa Cruz Church is just very near your neighbor Binondo so it's hard to ignore an old friend. I'd be rude if I wouldn't get to visit you whenever I visit your neighbor. You'd probably call me a snob. | 5 | [MANILA] ► BE LIKE A SHINY SILVER JEWELRY THAT COULD STAND OUT EFFORTLESSLY IN THE MIDST OF CONFUSING COLORS. | 6 | [MANILA] ► DON'T BE AFRAID TO LOVE BECAUSE THERE'S TIME FOR EVERYTHING. IF YOU GET HURT, MOVE ON. THE UNIVERSE IS SELF-HEALING. | 7 | [MANILA] ► DON'T BE AFRAID TO BE ALONE BECAUSE THERE'S A TIME FOR EVERYTHING, INCLUDING LONELINESS. THE UNIVERSE IS CONSPIRING FOR YOUR UPCOMING HAPPINESS. 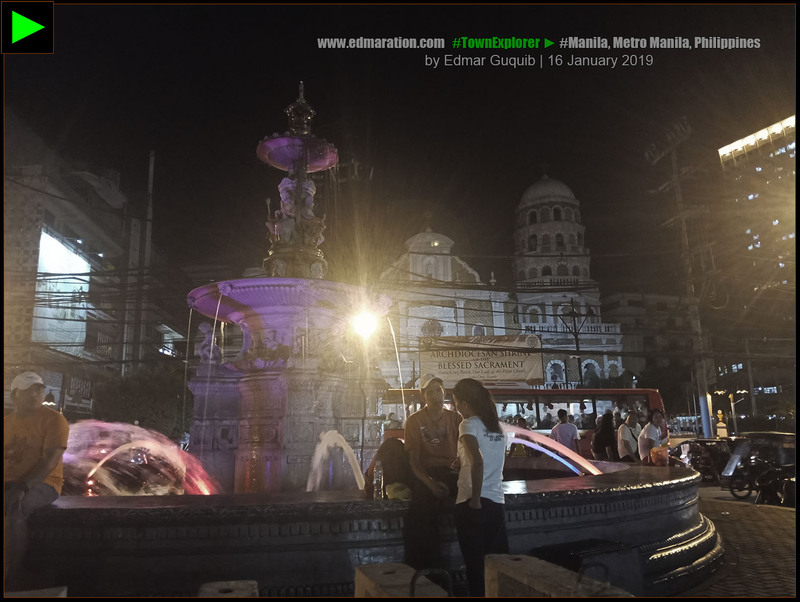 I love how your playground Carriedo Fountain maintained its poise in the middle of the busy road. I would applaud the work of your maintenance team. They're doing great. Same with your church facade, you seemed to be well-taken care of your team. 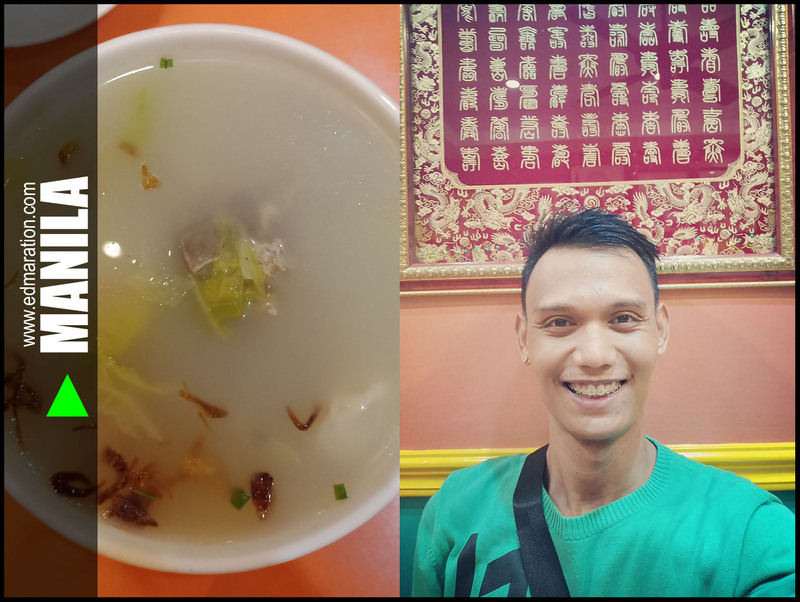 By the way, I do not have a lot of things to say because unlike your neighbor Binondo, you've always been boring for me because you've never brought me to your backyard. I still have to see your true color. But well, congratulations for surviving the dark smoke around, the facade of your church speaks a lot. 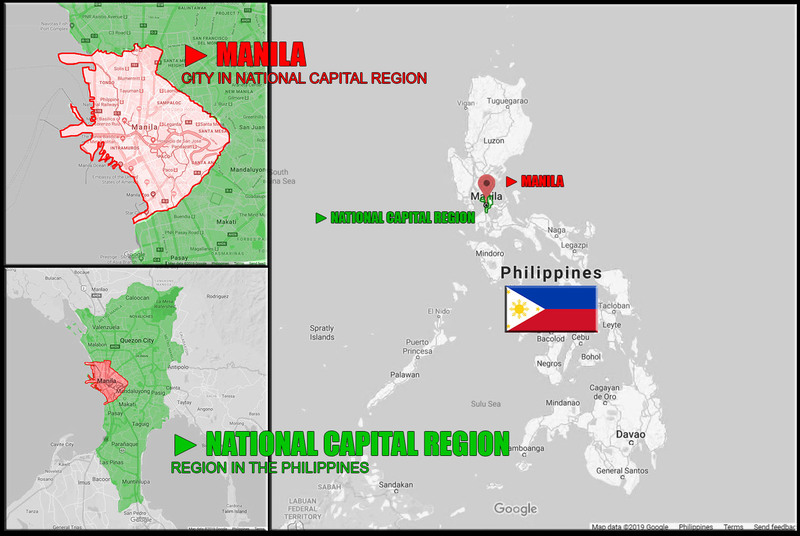 You know what Manila, it has always been good to talk to you. It's now 05:53 in the morning and I'm about to finish this letter for you. Your edges are both a danger and a savior, if you know what I mean. 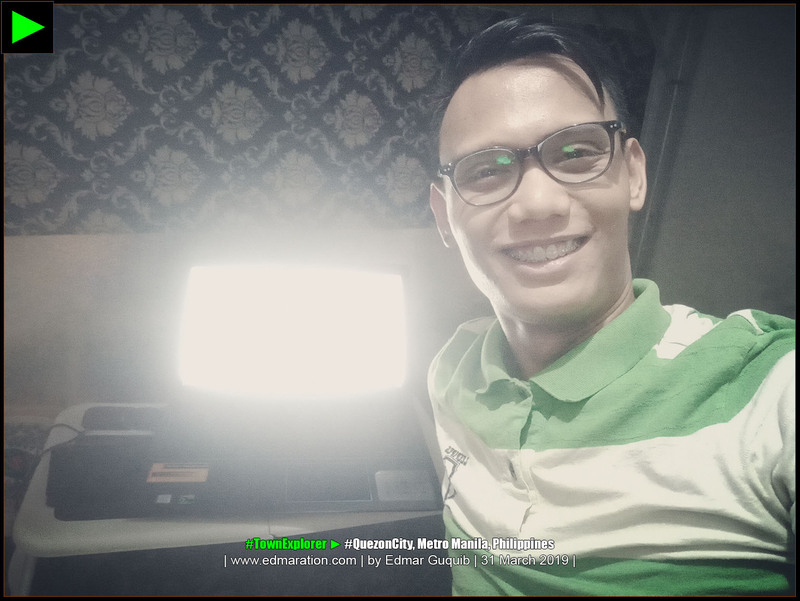 | 8 | [QUEZON CITY] ► I TOOK THIS SELFIE FEW MINUTES BEFORE I FINISHED THIS BLOG ARTICLE. ✈ This post was filed under the categories "Night Explorations" and "Night Life". See more posts related to this below. 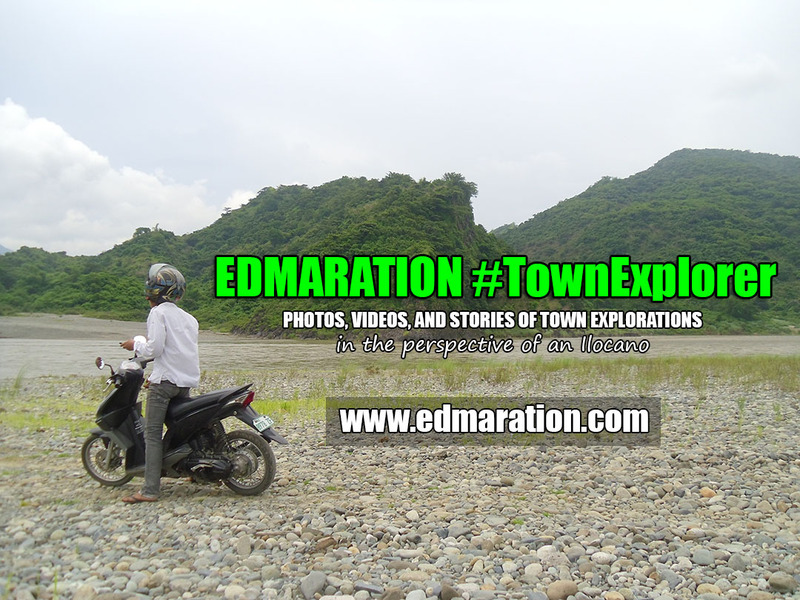 ✈ The insights, condition and name of places or properties I mentioned here are based on the facts and situation on the day of my visit. 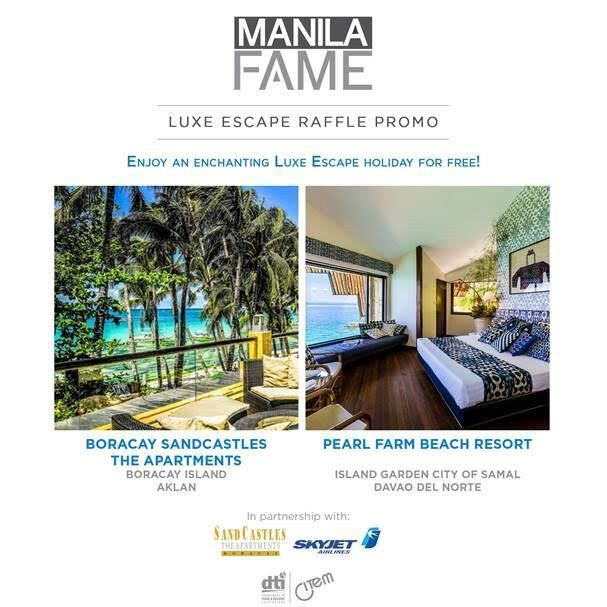 Take note that you may have a different experience when you try the activities or see the properties/places mentioned here. Names of places and properties may also change by time. ► 01-April-2019: This post was published. NAGUSTUAM DIAY NABASAM/NAKITAM? MABALIN MO MET I-LIKE.